Our goal is to add some interest into our blues progression. The first four bars are all just E chords. 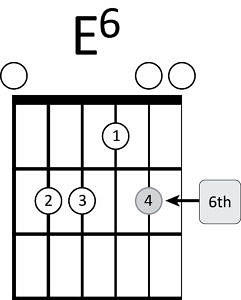 To alleviate the repetition we are going to use the E6 and E7 chords explained here. Start by trying to play these chords, they all use your pinky finger and can take some practice. In the one bar excerpt below you can see how each bar of E will be transformed. Play the video so you can see how it will sound. 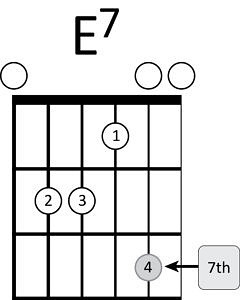 Use simple comping figure every time you see a bar of E.
Copyright © 2019 Easy Guitar Online. Powered by WordPress. Theme: Spacious by ThemeGrill.